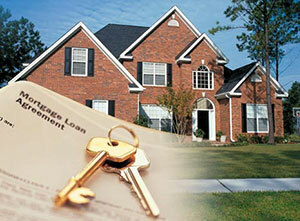 In tight real estate markets, many buyers find obtaining loan approvals challenging. Although numerous lending programs exist, buyers without an extensive credit history or those who have suffered job losses in the past may find loan approval difficult to achieve. Real estate agents who do not want a pending transaction to fall though sometimes urge their clients to seek assistance from private mortgage lenders. Indeed, while standard loan programs assist large numbers of home purchases, for instance, through well known programs such as FHA, VA and other government backed loans marketed through large institutional lenders, many less well known private entities furnish loans to home buyers. These usually take the form of higher interest short term second mortgages. Insurance companies, wealthy investors and others often find loan applicants as a result of referrals from private mortgage lenders, or mortgage brokers. These individuals and firms may be able to develop a short term loan package capable of providing funding necessary to assist purchasers into homes. Real estate brokers and lenders must perform due diligence, to make certain that buyers qualify and they will be able to pay off short term second mortgages; no one wants them to suffer financial harm as a result of undertaking a second mortgage. Indeed, the same rigorous loan criteria usually apply. However, private providers of second mortgage funds often possess slightly greater flexibility in terms of the criteria they use to screen the suitability of both buyers and residential properties.